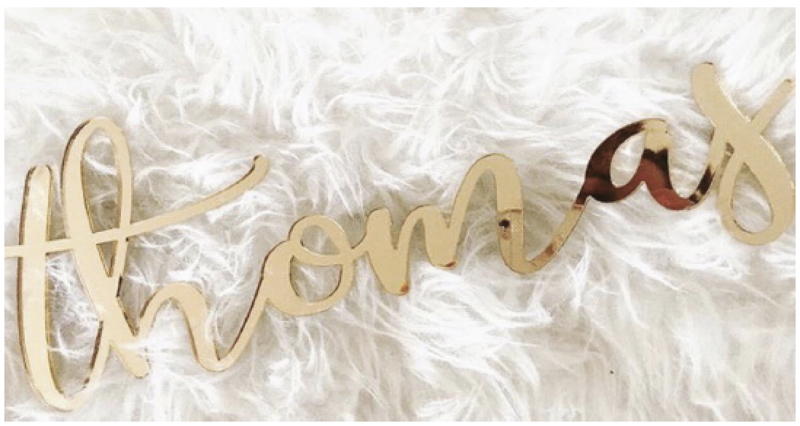 These gorgeous personalised custom acrylic script names are available in acrylic or bamboo. They look perfect in any nursery wall or celebration table. 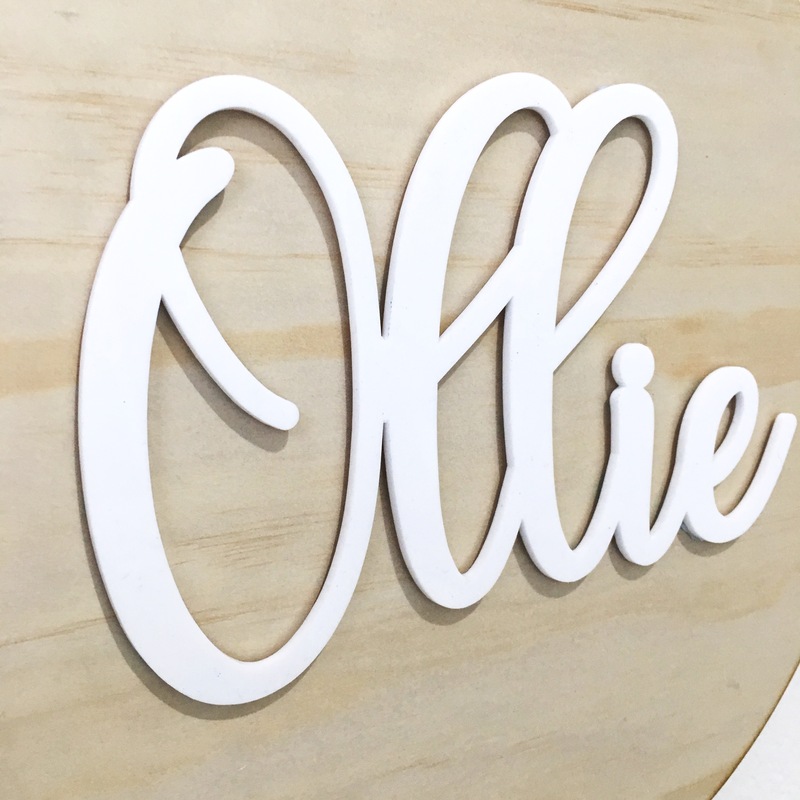 Each of our script name plaques are individually made in Melbourne, Australia for your child by a small business. 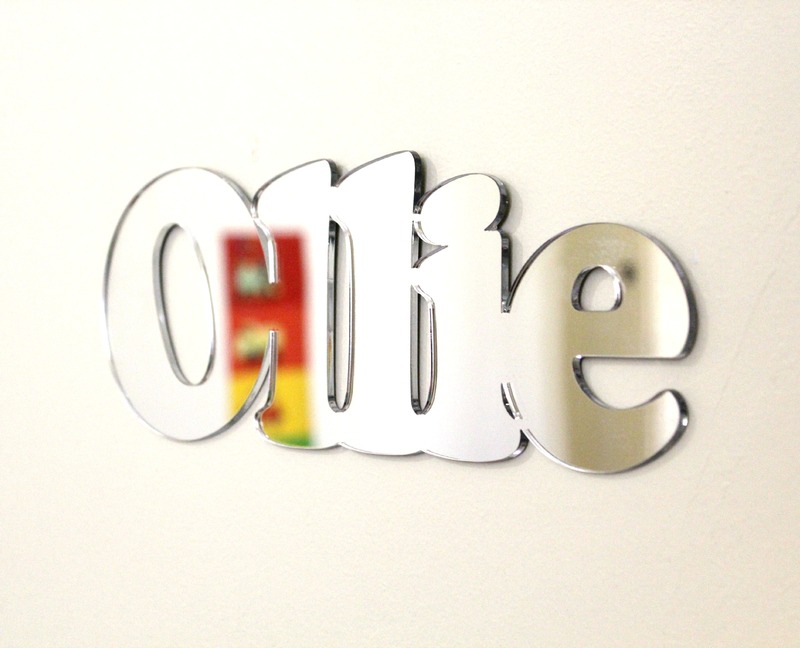 Size: This listing is for an acrylic name which has the first Capital letter at 15cm high. The length of this name will be determined by how many letters you have selected and the font you choose. This size is PERFECT for hanging on doors. If you require a bulk amount (5 or more) shoot us an email and we can do you a wholesale deal to reduce your costs. NOTE: All sizes are approx. and are based on height of the name/word. Price is based on single name; sizes will be give or take 10%. Font choices will also affect the width of the name as some fonts are wider than others. Sizing is based on the first capital letter. Please note: longer names may not reach the anticipate height. I.e. 4 letter names/words almost always reach the 40cm high.